Dolly Parton is everywhere this year. A Christmas special on NBC. Singing "Jolene" on "The Voice" with her goddaughter Miley Cyrus. A PSA with Smokey Bear as wildfires raged around her Dollywood theme park. A new album, "Pure and Simple." And her first solo tour in 25 years. Dolly has been in the public eye for more than five decades as a songwriter, singer, actress and business mogul. But she's as relevant today as she was when, as a little girl, I listened to her in the front seat of my granddad's truck on the farm. Today, as a business reporter, I admire her as much for her business acumen as her music. 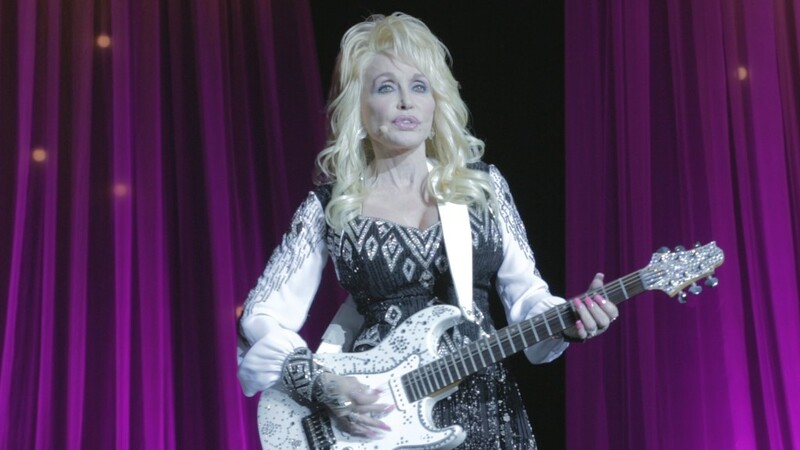 I was delighted to sit down with Dolly for exclusive access to her on a leg of her tour. Here are ten things you don't know about this amazing mogul. 10) She has been married for 50 years, but keeps her relationship private. Dolly told me she would sell 50th anniversary pictures and an interview with her rarely-seen husband Carl Dean -- but only for a million dollars to go to her charity Imagination Library. 9) Her handmade dresses weigh up to 50 pounds each. 8) She leaves a trail of sequins, beads and rhinestones from her costumes everywhere she goes. Her crew calls them "Dolly droppings." Even her microphone is covered in rhinestones. 7) Dolly wears size 5-1/2 custom, hand-made Christian Louboutin heels. 6) Dolly is an early bird and is always awake by 3 am. "That's when I do some of my best work is in the wee hours," Dolly said. "I sleep well when I'm sleeping but I don't require a lot of sleep. Five hours is a really good night's sleep for me." 5) She opens every show wearing white, but loves colorful glam the best. "I just love all the flash," she told me. "I just feel more sparkly and more alive if I can shine from the outside because I'm shining on the inside." 4) Dolly doesn't do hotels. She sleeps in her custom bus. 3) She has a Dolly-sized tub on her tour bus, along with several wardrobe closets and a make-up room. 2) Dolly travels with 60 pieces of luggage. 1) This is her 43rd studio album, but Dolly is a truly diversified mogul. She owns restaurants, theme parks, a record label and a film and TV production company and runs a literacy program called Imagination Library.